The life of Virginia Woolf (London, 1882 – Rodmell, 1941) is an example of fighting against the odds, whether it is as a woman in an openly sexist world, as a nurse, or as a revolutionary writer. 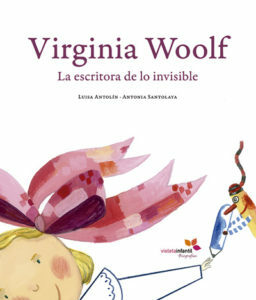 This book focuses on Virginia Woolf’s brave and hard life and her literary style; her achievements as a writer are a great example for future generations. It’s a bilingual edition (Spanish/English) including lovely illustrations.